How many karats does it take to make an “it girl”? Answer, just this one! 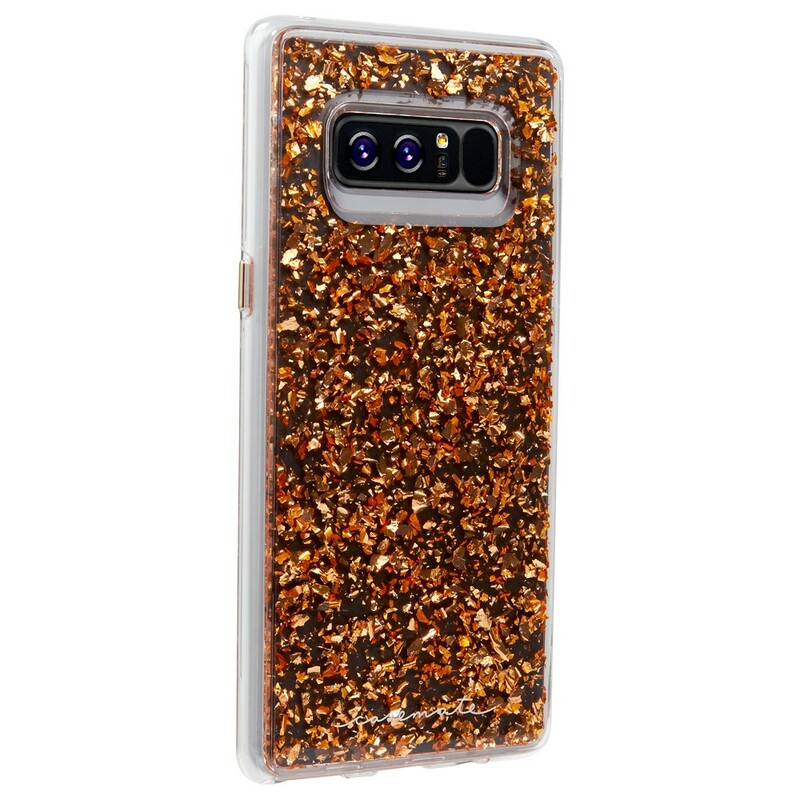 Inspired by the chic lucite handbags of the 1950s and 1960s, this case will step up your shine game with metallic elements encased in clear resin. • • Military strength impact protection*• Dual layer protection with a slim silhouette• Shock absorbing bumper• Anti-scratch technology• Refined metallic buttons*This case is certified to meet or exceed MIL-STD-810G drop test standards.